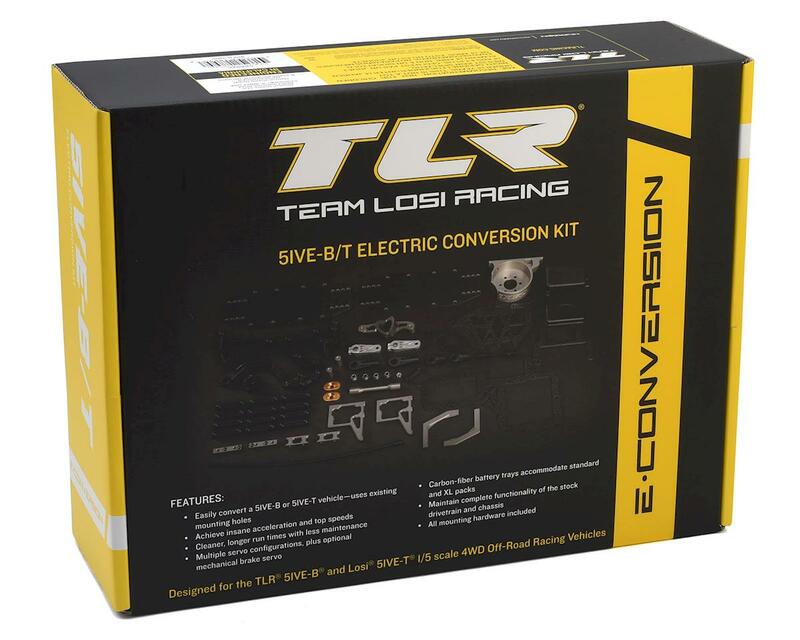 The TLR 5IVE-B/T Electric Conversion Kit allows you to convert your 1/5-scale gas powered TLR 5IVE-B buggy or Losi 5IVE-T truck into a definitive race podium dominator. No special tools are required to complete the conversion, the kit parts mount into the existing holes already in the frame and chassis. 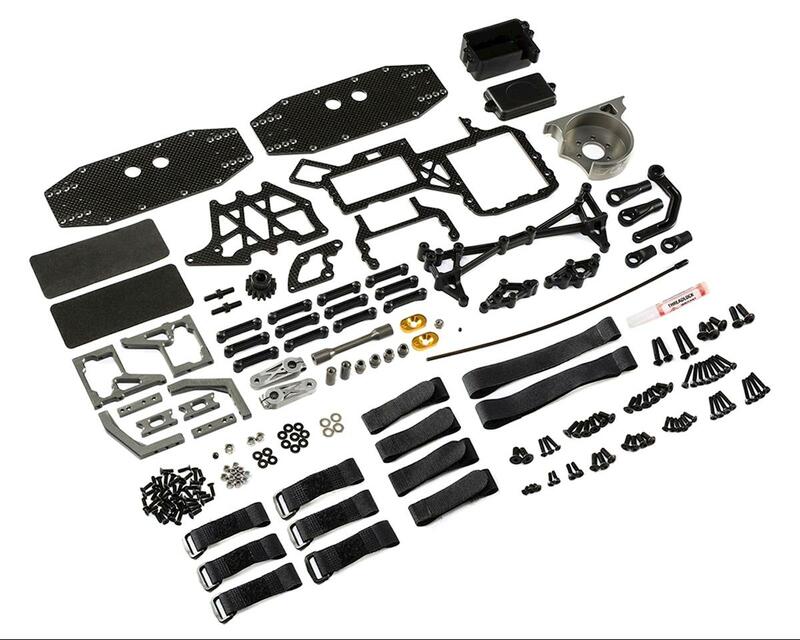 TLR has engineered the kit to provide a number of options and manufactured the parts from strong material to match the class-leading fit and finish TLR and Losi drivers demand. Brushless Power: Electric power is naturally cleaner and quieter that the internal combustion counterparts. 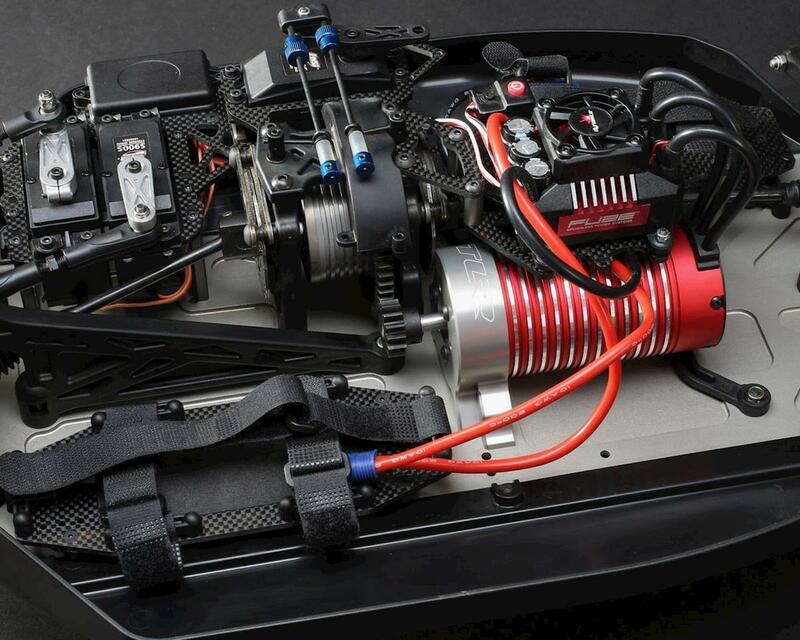 Electric power offers a wider range of setup options including LiPo battery size and type, motor size and winding and practically infinite gear ratio options so you can achieve insane acceleration and higher top speeds. Drop in Ready: This conversion will drop directly into a 5IVE-T or 5IVE-B without the need for any modifications because all of the parts use the existing mounting holes located in the chassis. Plus, the kit allows you to maintain complete functionality of the stock drivetrain, body and chassis. Versatile Radio Tray: A carbon-fiber radio tray included can be configured to run single, dual or HS-1000/1005 servos. Also included is a mount for an optional mechanical brake servo. Steering Upgrade: The dual sided servo saver arm provided delivers the precision of a push/pull steering setup and it’s made from aluminum for the long lasting durability this monster demands. 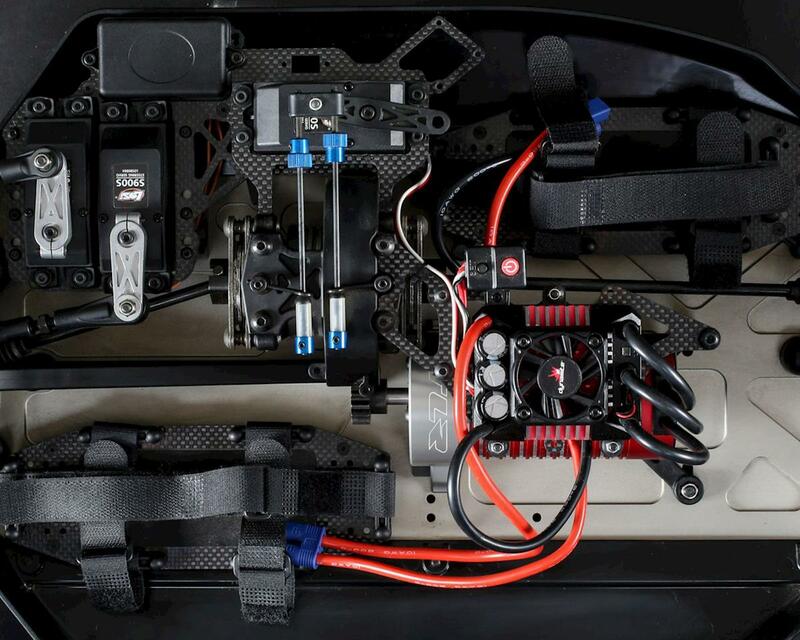 Adjustable Battery Trays: Adjustable battery trays are made from machined carbon-fiber plate and can accommodate batteries up to 163mm in length so you can take advantage of multiple battery configurations, including some of the higher capacity XL LiPo packs. Integral Motor & ESC Mounts: Motor mount designed to fit most 58mm motors. The motor mount uses the original front engine mounting location with motor mount slugs designed for use with the electric conversion. ESC mount is elevated to create space on the chassis and get more natural airflow from the body.